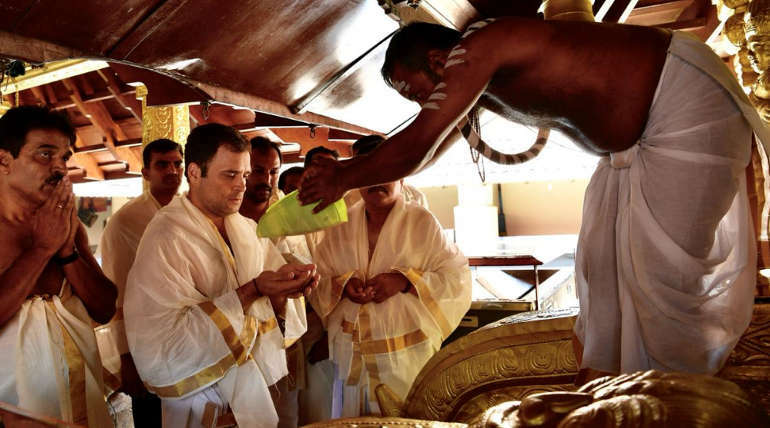 Congress Leader Rahul Gandhi made a darshan at Thirunelli swami temple in Wayanad district of Kerala. This Thirunelli Maha Vishnu Temple is located near Mananthavadi, Wayanad. The temple is famous for ancestor worship. 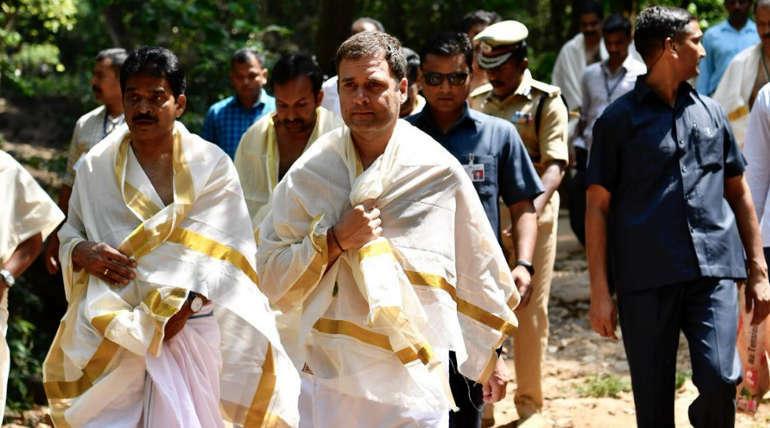 Rahul Gandhi is contesting as a candidate in Wayanad as second seat beside Uttar Pradesh Amethi for this Lok sabha constituency election 2019 in Kerala. In this situation, he made a worship at this Mahavishnu temple which belongs to Wayanad constituency. According to the Kerala temple tradition, he wore white dhoti and prayed sincerely. 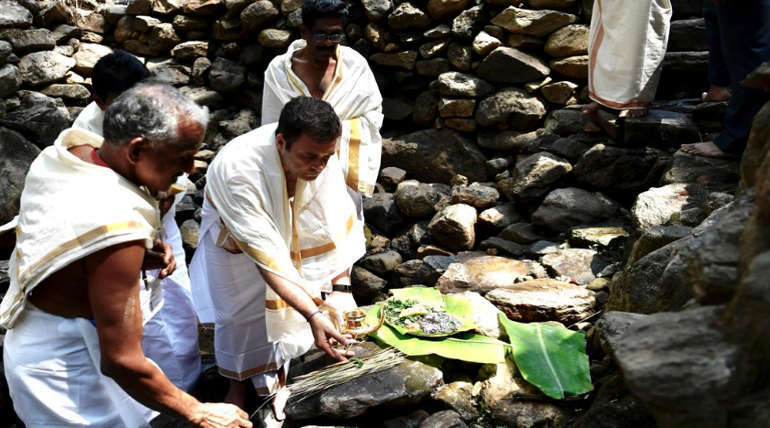 Rahul Gandhi paid rituals for his father Rajeev Gandhi and for his grandmother Indira Gandhi and victims of terrorist attack in Pulwama. 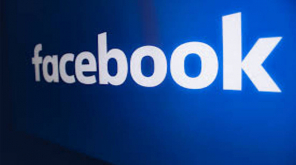 The lok sabha elections in Kerala going to held on April 23. 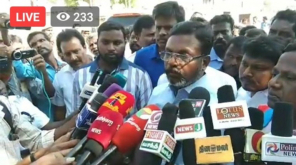 Congress General Secratary Venugopal said "Last time also he had wished to come here but because of security restrictions, he could not do it. Here is the place where the ashes of Rajiv Gandhi were immersed, in Papanasini river." 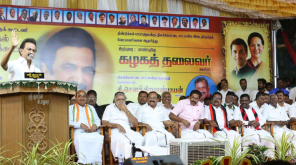 Rahul address gathering today in Sulthan Bathery and Thiruvambady said, "I've not come here as a politician who is going to tell you what to do or what I think. I'm not here to tell you my 'Mann ki baat', I'm here to understand what is inside your heart, your soul."